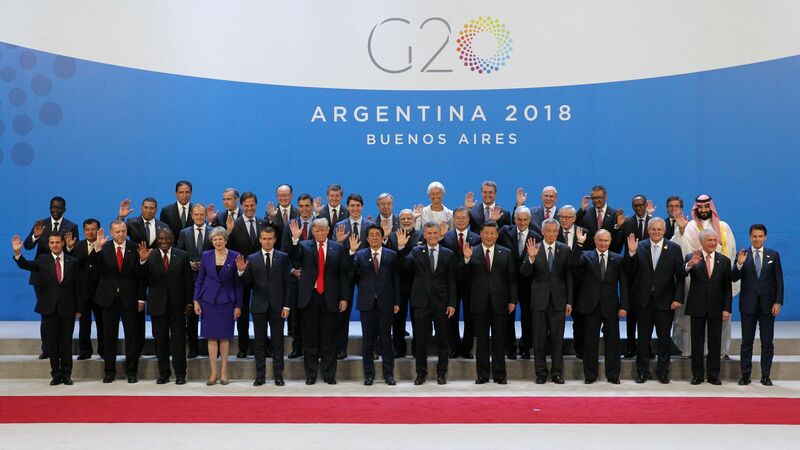 In a joint declaration signed by all G20 nations Saturday, leaders acknowledged that the current multilateral trading system is "falling short of its objectives" and voiced support for "necessary reform" of the World Trade Organization. The big picture: President Trump — who has made trade imbalances a hallmark complaint of his presidency — has threatened to withdraw from the WTO, which he believes was "designed by the rest of the world to screw the United States." Trump will meet Chinese President Xi Jinping Saturday night to discuss the ongoing trade war between the U.S. and China, per Reuters.